Searching for the right online marketing, advertising, and blogging software tool for your intellectual property website? Maybe it is right at your B2B vs B2C marketing Web tips. While WorldTimeServer.com can help you look up accurate times around the world, we see lots of interest from our users in keeping your local computer clock accurate, too. Atomic Clock Synchronization is the best way to make this happen. Most of the visitors to this site are using Windows XP, which has an atomic clock sync feature built in and included as part of your operating system. If you have Windows XP and wish to check your synchronization settings, look for the clock at the bottom right and double click on the time to bring up your time settings. You can adjust your local time and date by hand on the first tab, you can adjust your time zone location on the second, and on the third, labeled Internet Time, you can view your current atomic clock sync settings. Click the link: Clocks Ahead Of Time, Clocks Behind The Time to print this article for your future reference. Here are some pretty cool flash built widgets from www.springwidgets.com The widgets allow you to build your own rss feed into the widget itself. You can post it on various blogs and even email it to others. Some other widgets from SpringWidgets include a NFL GameTrax, Scoreboard Game Day tracker, RSS News reader, and clocks. Developers are coming up with new ideas, like this watch below. 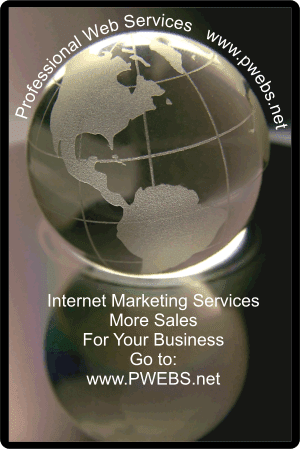 The RSS feed above is from my Internet Marketing blog. Check it out and be sure to visit Jim's Place on the Web. Click the link: SpringWidgets: Widgets to print this article for your future reference. A Place to Collect Blog Widgets. The past several days have been a blogging blur. I upgraded a number of old blogs to the new Blogger software and templates. At first I wasn't sure if I was going to really like them, but the surprise was on me. The new Blogger software is very deceiving on what it can do. Customizable is not really the word that describes it. One of the items that really blew me away is how the widgets are integrated into the blogs themselves. They can be moved around simply by dragging and dropping into a new location. But full customization can be assigned to data indicators to change colors of various parts of the blog itself. Fonts, colors, and hyperlink colors can be changed on the fly. For those that don't want to jump into the html coding, the blogs are very easy to set up in a matter of minutes. In just a couple of minutes you could publish your first posting. The reason for this blog for me, and now for you, is I needed a blog to upload new widgets to see how they function. I have a couple of test blogs, but I wanted to see how widgets really work in an actual working blog environment. So welcome to the Widgets For You blog. Click the link: Widgets For Your Blog to print this article for your future reference.